Brilliant lemon-yellow hues in the glass. Aromas of white flowers and bright green apple on the nose. Tropical fruits, lemon and nuts round out the palate with lovely mouth-feel, weight and extraction. Medium-bodied. Small grape batches were gently crushed, chilled, and then transferred to custom steel basket presses for gentle extraction of the juice to retain the fruit characteristics. Fermented and aged in stainless steel with mature French oak inner staves for seven months. Aged on lees with no malolactic fermentation. Not a huge wine fan in general but this is not sweet and not overly dry. It’s just perfect and I hope they never stop making it!! 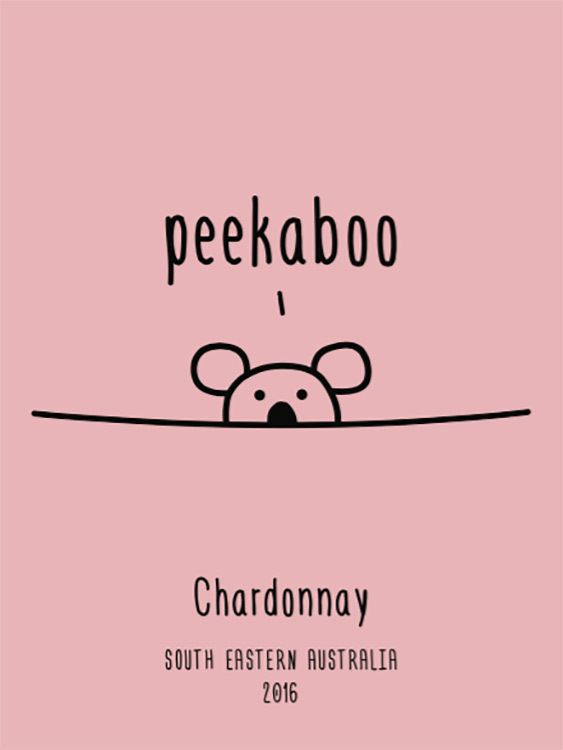 Most chardonnay's are too "buttery" or bitter for me but Peekaboo was a perfect mix of that crisp acidic white with a smooth taste! I tried the other Chardonnay's offered by Traveling Vineyard and Peekaboo is by far the best and my favorite! I went to a tasting and Amy Cordner was the wine guide. SHE WAS AWESOME! I never knew about pairing certain foods like popcorn with Chardonnay. Amy was very helpful in everything including the shipping as it arrived to her and she brought it to me. there is another tasting that I am unble to go to so I ordered through the hostess. There was a blizzard the day the wine was supposed to be delivered and they rescheduled. No problem. Unfortunately I work 10 hour shifts and I will not be home to sign for wine. Again, no problem. I spent 35 minutes trying to get a human on the phone at UPS and was unsuccessful. Also there are MANY UPS locations much closer to me but they wouldn't let me change that. Again, love traveling vineyard and would definitely buy more wine if only UPS would be a little more user friendly. This is one of those wines that you can sit back and drink - I call it "slammable" - I will reorder this again! This is such an amazing (I'm gonna say it....perfect) wine. I normally prefer dry reds (tanglerose/ignia/etc), but this wine has such great balance. It was perfect for sipping without food, but complimented general tso chicken really well. I love the balance of not too sweet, but not dry either. Extremely smooth with a light aftertaste. Definitely the best chardonnay I have ever had. Purchased two bottles of peekaboo Chardonay and I wasn’t fan. I ended up giving them out as gifts so they didn’t go to waste but not what I was expecting out of a Chardonay. Our group of friends loves this and we just keeping rotating houses so we always have great wines!